The family-friendly event features a parade of nearly 100 floats, food, live music and shops. 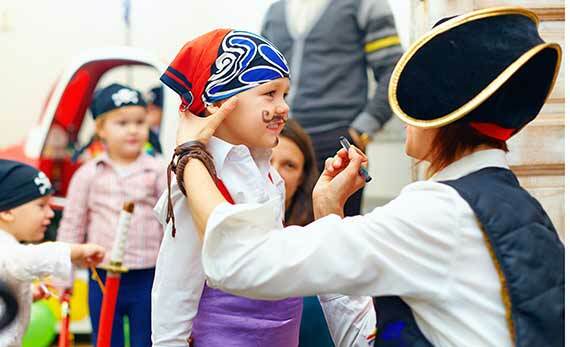 Festivities take over the Landing in Fort Walton, but don’t be surprised to see pirate activity all over town. The dastardly Billy Bowlegs has been seen off t’shores of T’Emerald Coast and rumor is that he be plannin’ to dock his ship once t’again at The Fort Walton Beach Landing! The Greater Fort Walton Beach Chamber o’ Merchants welcomes landlubbers and swabbys of all ages t’dis two day jolly family event. Taking place in one of the most productive fisheries in the United States, timed to coincide with the peak of the Gulf Coast’s blue marlin season and located at the South’s number-one ranked resort destination, the Emerald Coast Blue Marlin Classic at Sandestin® (ECBC) has set the precedent for world-class sportfishing tournaments. The Annual Smoke on the Coast BBQ and Fireworks Festival at Destin Common starts at 5 p.m. on July 3, 2019. Family entertainment and live music will kick off the day. At 6 p.m. BBQ aficionados can enjoy $1 samples from 18 area restaurants and BBQ groups and vote for their favorite as People’s Choice winners. Last year $87,500 in donations benefited local charities! Stop by for family fun activities including an Independence Day firework extravaganza! Powerboats, fishing boats, pleasure boats, and all in between, will fill the waterways for one of the largest and most popular charity poker runs in the USA! Affectionately called “The Big One,” the Emerald Coast Poker Run has been held along the beautiful waters in and around Destin, Florida for over 25 years. Come out and enjoy the 27th Annual Greek Festival during the Labor Day weekend at the Emerald Coast Convention Center on Okaloosa Island. Taste the various Greek foods, desserts, and drinks being served up throughout the festival. Let your ears enjoy the sounds provided by the Kosta Kastanis Band, one of the hottest and most exciting Greek bands in the U.S. Let your eyes marvel at our local Greek dancers as they perform live for you our guests. We will have multiple local and national vendors showing and selling their crafts and goods. The Destin Fishing Rodeo began in May of 1948 to bring people to Destin. It worked! Destin shortly became known as a summer tourist destination and “The World’s Luckiest Fishing Village”. The Destin Fishing Rodeo is the ultimate fishing tournament for salt water anglers of all ages. The Rodeo founders, people such as Howard Marler, Jewel Melvin and Willie Marler, decided that moving the Rodeo to October would lengthen the tourist season another month. Today the Rodeo is held October 1- 31. One of the Southeast's premier art festivals, the two-day signature event features art exhibits of nearly 200 total artists (including the juried and collaborative exhibit) from 13 states showcasing a diverse palette of artistic styles in 22 different art mediums.